Stanley J. Nelson, 93, of Flandreau, formerly of Dell Rapids, passed away on Tuesday, October 2, 2018 at the Avera Flandreau Hospital. His funeral service will begin at 10:00 a.m. on Saturday, October 6, 2018 in the Lutheran Church of Dell Rapids Chapel. Visitation with the family present will be from 5:00 - 7:00 p.m. in the Lutheran Church of Dell Rapids Chapel with a prayer service at 7:00 p.m. on Friday, October 5, 2018. Stanley Jerome Nelson was born May 31, 1925 in Sioux Falls, SD to parents Lars & Inga (Borgen) Nelson. As a child he grew up in Forbes ND. His family then moved to Dell Rapids where he attended high school. After high school he continued to farm and was lucky enough to have his name drawn from a hat to purchase a 1937 A John Deere during war time. Stanley married Marietta Schreier on November 7, 1949 in Dell Rapids. They farmed near Baltic and Dell Rapids until 1994 when they retired and moved into Dell Rapids. Some of Stanley’s favorite pastimes were going on Sunday drives, playing cards, and talking about his Charolais cows. He cherished nothing more than his family and he had the kindest heart there was. He was a man of few words. 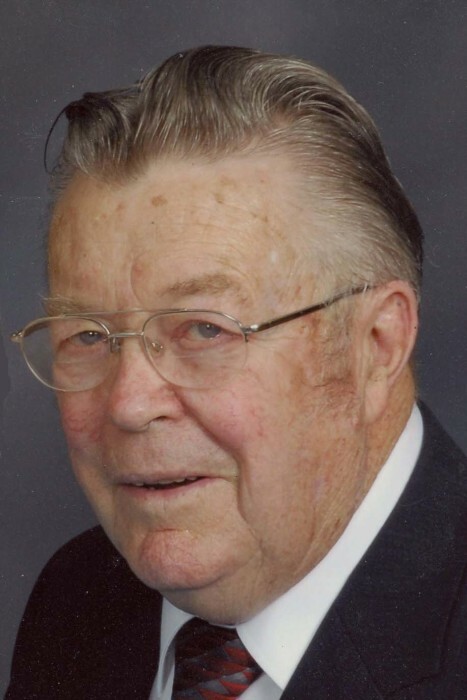 Stanley was a life long member of the Lutheran Church of Dell Rapids. He was preceded in death by his parents, his brother Irwin, sister-in-law Edna, and nephew Glenn. Grateful for having shared his life are his wife Marietta; daughter, Sherry (Dale) Sovell of Ivanhoe, MN; grandchildren, Ashley and Dereck Sovell; two nieces and three nephews.